The Kid. The GOAT. The Buster. Joseph “Mang0” Marquez is a former Jigglypuff player and current Fox and Falco main from Southern California. He is known for his aggressive playstyle that overwhelms the opponent and has incredible peaks, with some fans believing that he is unstoppable when playing at his best. When he played Jigglypuff, he showcased a very innovative style and has been credited for the discovery of several rest setups. His Falco is known for creative combos, laser edgeguards, and crouch cancels while his Fox is known for utilizing baits as a form of shield pressure, upsmash reads, and amazing recovery angles. Mang0 has the biggest following out of all players in the Melee community; he lives and dies with his fans, who are called the Mang0 Nation. He is also known for some of the most iconic Loser’s bracket runs in Melee history: Pound 3, EVO 2013, Press Start, and GENESIS 3. These accomplishments, as well as a plethora of victories at supermajors, have led many individuals to call him the Greatest of All Time (GOAT). Mang0’s road to fame began at EVO 2007, where he won the first set he ever played against Mew2king using his Jigglypuff. EVO had an interesting format at the time. It was a best of 1 set on a random stage until top 12, and due to Mang0’s unknown status at the time, he played against Mew2king early in bracket. The random stage was Dreamland, which is largely considered to be Jigglypuff’s best. After his victory, Mang0 went on to beat Ken in Winner’s top 8, but lost to HugS in Winner’s Finals and Ken in Loser’s Finals to finish 3rd. Nonetheless, it was an incredible breakout performance and ignited his incredible career. He earned the nickname “The Kid” as he was only 15 when he started to compete at the top level. To begin 2008, Mang0 attended Pound 3, the first supermajor of the year. In the first round of Winner’s bracket, he was defeated by Silent Wolf. What followed was one of the most incredible Loser’s bracket runs of all time. He defeated multiple top players, including Cactuar, Forward, Azen, ChuDat, Cort, and PC Chris to make Grand Finals. It should be noted that at the time, Mang0 was not considered to be the favourite to beat any of these players. His matches against them were considered to be around 50/50, making his victories against these top players very impressive. In Grand Finals, he faced off against Mew2king and won two straight sets to win the tournaments. During that set, Mang0 grabbed Mew2king and threw him onto a plane on Corneria, where he then landed one of the most memorable rests in Melee history, now known as “The Arwing Rest”. Following Pound 3, Mang0 was considered the best player in the world. He was also responsible for Jigglypuff’s rise in Melee’s tier list. Mang0’s dominance continued in 2009. At Revival of Melee, he won in dominating fashion over Mew2king, DaShizWiz, Hungrybox, and ChuDat. The year was also characterized by the start of a new tournament series known as GENESIS, which went on to arguably be the most legendary series in all of Melee. GENESIS was the first American tournament of a rising Swedish player: Armada. He had been dominating the European scene and was poised to make his debut in America. Despite doubts from American players, Armada played extremely well at GENESIS. It was the start of the greatest rivalry in Melee: Mang0 vs. Armada. While the gods all have intriguing rivalries against each other, none of them reach the intensity of Mang0 vs. Armada. At GENESIS, Armada shocked the world by defeating Mang0 in a nailbiting Winner’s Finals set 3-2. However, Mang0 returned to win two classic Grand Final sets. In the first set, Armada was up two games to one and looked poised to win the tournament. Game 4 was a last stock situation, and the crowd was incredibly excited. They began chanting “MANGO, MANGO, MANGO” and right on cue, Mango read Armada’s roll and rested him to win the game. This was known as the “Rest Heard Round the World” and is easily the most famous rest to ever occur. Armada described this moment by stating, “Everything went black for a while, it was scary.” What followed was an enormous momentum swing. Mang0 won game 5 to win set 1, which involved an amazing dash dance rest. In the second set, Mang0’s momentum led him to a 3-0 victory to win GENESIS, which went down as one of the greatest tournaments of all time. Mang0 did have one notable loss in 2009, which was at Revival of Melee 2. He was double eliminated by Kage the Warrior, a Ganondorf player from Montreal. It was a huge upset at the time, as Mang0 was clearly the best in the world whereas Kage played a low-tier character. For Kage, it was his moment of glory and the best win of his career. On the other hand, the loss was very embarrassing for Mang0. Nevertheless, Mang0 quickly bounced back after his loss. 2010 began with the next iteration of the Pound series: Pound 4. It was the first tournament with all five gods in attendance, and once again, Mang0 was victorious. He defeated Hungrybox in a humiliating fashion in Grand Finals. In game 4, Hungrybox missed a rest and Mang0 decided that he would punish the rest with a jab, which is extremely weak. The act was very disrespectful, as the lack of punish on the rest indicated that Mang0 believed he would win regardless. This was a defining moment in the Mang0-Hungrybox rivalry. While the Mang0-Armada rivalry is fueled by in-game competition, the Mang0-Hungrybox rivalry involves a hatred between the two players. The lack of punish was so insulting that Hungrybox immediately suicided in-game and walked away. After Pound 4, Mang0 was the undisputed best player, but also had the reputation of being a troublemaker during these earlier days. He was banned from Smashboards, a popular discussion forum for several insulting posts. As a result, he decided to play a prank and start sandbagging at tournaments. He created an alias known as “Scorpion Master,”, and entered several tournaments under the tag. It was rumoured in the Smash community that Scorpion Master was an extremely talented Mario main from Mexico that would place top 3 at Apex 2010. However, Mang0 did not perform well with Mario, and placed 25th. He continued to sandbag at tournaments such as Revival of Melee 3 and Pound 5, before his return to serious play at GENESIS 2. GENESIS 2 was an important tournament in several ways. It marked Mang0’s switch from a full-time Jigglypuff main to a Fox and Falco main. 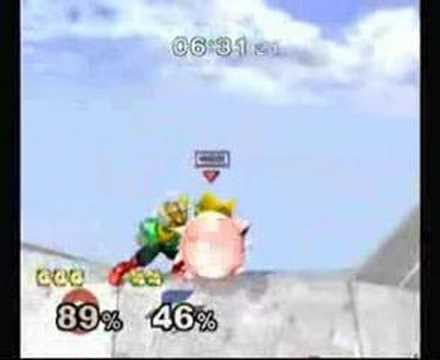 Many believed that Mang0 was simply winning because of Jigglypuff’s gimmicks, leading to his eventual switch. Critics of his play believed that he would not be able to win with a “real” character like Fox or Falco, which he would in due time prove false. GENESIS 2 also crowned a new champion of Melee. In Winner’s Semis, Mang0 was upset by an Arizona player named Taj. Armada swiftly defeated Taj in Winner’s Finals, and Mang0 won Loser’s Finals to meet Armada in another Grand Finals set. In an exciting set, Armada was victorious 3-2. It was the first American national won by an international player in over 6 years, and it sparked a two year period of Armada dominance. During these two years, Mang0 was still considered to be the best player in North America, and won the majority of the tournaments not attended by Armada. He won Revival of Melee 4 over Mew2king and PPMD by double eliminating the latter in Winner’s and Grand Finals. Apex 2012 had Armada in attendance, and Mang0 lost to him 3-0 in Winner’s Finals. In Loser’s Finals, he lost to an on-fire Hungrybox to finish 3rd. The loss to Hungrybox was disappointing for Mang0 as he seldom lost to him during that time. For a number of years, the Mang0-Hungrybox rivalry was very one-sided, with Mang0 winning nearly all of their sets. During the rest of 2012, Mang0 continued to dominate the tournaments not attended by Armada. He won IMPULSE 2012 by defeating PPMD, Mew2king, and Hungrybox. Moreover, he defeated Hungrybox in Grand Finals of MELEE-FC10R Legacy and The Big House 2 to win both tournaments. He looked very strong going into Apex 2013 to face Armada. However, he failed to meet Armada in bracket, as he was double eliminated by Mew2king. Once again, Armada won the tournament to remain the best in the world. Mang0’s time did return, and it began with the Melee’s inclusion in EVO 2013, the first EVO since 2007 to include the game. The road to EVO 2013 was an amazing collective effort by the Melee community. It was not going to be included in the original seven game lineup of the fighting game tournament. However, the EVO staff eventually decided to include an 8th game through a donation drive. The community who raised the most money would have their game included. The Melee community faced competition from Skullgirls fans, but eventually raised the most money to become the 8th game in EVO 2013’s lineup. During the tournament, Mang0 played terribly on day 2, losing to Wobbles in Winner’s bracket and nearly losing to SFAT in Loser’s. However, he recovered on day 3 and went on an incredible Loser’s bracket run, where he defeated Ice and PPMD to set up a Loser’s Semis match against Armada. Mang0 finally beat Armada and overcame his struggles against him. This was a moment that he had been waiting for at least two years. In Loser’s Finals, he played against Hungrybox, a set that ended in spectacular fashion. In game 2, Hungrybox was clinging onto his last stock when Mang0 began charging an up smash. Right on cue, Hungrybox rolled right into Mang0’s up smash, which ended the set in a 2-0 win for Mang0. The commentator ecstatically uttered “HE READ THAT ROLL,” marking one of the most memorable commentary moments in the Melee community. The read was borderline psychic, and it is a perfect example of Mang0’s incredible ability to learn his opponent’s playstyle. His win against Hungrybox set up a Grand Finals rematch against Wobbles. Mang0 avenged his loss against Wobbles in dominating fashion, as he beat him 3-0 and 3-1 in Grand Finals to win the tournament. Due to the enormous efforts taken to ensure the inclusion of Melee, Mang0’s amazing loser’s bracket run, and the large number of top players in attendance, EVO 2013 will always be regarded as one of the most significant tournaments in Melee history. Following his EVO win, Mang0 was relatively inactive for the next 6 months, mainly due to the birth of his son. He was ranked #1 in MIOM’s 2013 SSBMRank. Mang0 started 2014 relatively slowly, as he lost to PPMD and Mew2king at Apex 2014 to finish 3rd. However, his performance at Revival of Melee 7 demonstrated his rapid return to form, as he defeated Hungrybox and Mew2king to win the tournament. The year was characterized by an increase in player sponsorships in the Smash community, and Mang0 earned a sponsorship with Cloud 9, a renowned e-sports team. The year also marked Melee’s return to the MLG circuit, and all five gods aimed to be crowned champion of MLG Anaheim, which took place on June 20th, 2014. In MLG Anaheim pool play, Mang0 finished 5-2, having lost to Armada and Westballz, the latter of which was a huge upset. However, his bracket play was incredible, where he defeated PPMD 3-2 in Winner’s Semis, and Armada 3-2 in both Winner’s Finals and Grand Finals to win the tournament. Some players believe that Mang0 ‘s play at MLG Anaheim was the highest level of Melee ever. His play at the tournament was also a huge contrast from his traditional playstyle. Mang0 generally does not like to play in a way that he considers to be “lame.” This includes chaingrabbing, planking, and camping with lasers. At MLG Anaheim, he temporarily abandoned these ideologies and played to win by any means necessary. In his Grand Finals set, he showed a willingness to camp and damage Armada’s Peach using Fox’s lasers. After his victory, Mang0 stated that “Thou shalt not sleep on The Kid,” a phrase that is now frequently used to indicate that Mang0 always has a chance at any event, regardless of prior low placings. The weekend after MLG was CEO 2014, where Mang0 defeated Armada in Winner’s Finals. In spite of this, Armada won both sets of Grand Finals to win the tournament. King of Cali 4 took place the next week, and once again, Mang0 and Armada met in Grand Finals. This time, Mang0 prevailed in the second set of Grand Finals. EVO 2014 was meant to settle the Mang0-Armada rivalry once and for all. Three straight weekends of Grand Finals sets between the two was culminating into a final showdown at what was the biggest Smash tournament ever at the time. However, Armada did not make Grand Finals, and Mang0 defeated PPMD and Hungrybox twice to win the tournament and become the first Smasher to win back-to-back EVOs. Following his win, the Mang0 nation began calling Mang0 the GOAT. After losing his title to Armada at GENESIS 2, his EVO 2014 victory clearly demonstrated his edge over Armada. During the fall, The Big House 4 solidified Mang0’s incredible year. After losing to Mew2king in Winner’s Semis, he went on another Loser’s bracket run, where he defeated Lucky, Armada, Leffen, and two sets against Mew2king to win the tournament. His amazing performances earned him rank #1 in MIOM’s 2014 SSBMRank. In contrast, 2015 was a difficult year for Mang0 and his fans. He struggled in the first half of the year, as he lost to Leffen and Armada at Apex 2015. The loss to Leffen was particularly disappointing as he had put $1000 on the match. After his Apex loss, Mang0 stated, “Life is this crazy, mystical thing, and sometimes you go out like a buster.” This earned him the nickname of “The Buster,” which was a fitting description of his experiences in 2015. At I’m Not Yelling!, Mang0 played well and defeated Armada in Winner’s Finals, but ultimately lost to him in two Grand Finals set. At MVG Sandstorm, he was upset by Axe and Westballz to finish 5th. The lone bright spot was Press Start, where he went through an immaculate Loser’s bracket run. He was disqualified from Winner’s bracket, as the tournament was on Mother’s day and he wanted to spend time with his loved ones, resulting in him arriving 45 minutes late. In Loser’s, he annihilated several top players such as Hax, Hungrybox, Leffen, Axe, and Fly Amanita in Grand Finals to win the tournament. As a result, he became the first player to win a tournament through Loser’s bracket without dropping a set. At CEO 2015, Mang0 was defeated by Shroomed and Armada to finish 3rd. EVO was approaching soon and Mang0 was still not showing signs of significant improvement. 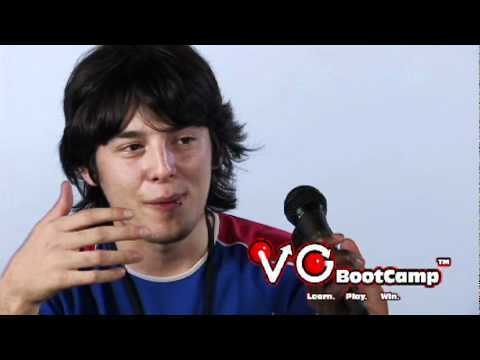 Despite these struggles, Mang0 stated that he would certainly “3peat” by winning EVO 2015. In a way this was his downfall, as he seemingly did not care about any tournament except for EVO. Despite his claims of a 3peat, Mang0 was defeated by Plup in Winner’s bracket of EVO and entered the final day in Loser’s. In Loser’s Quarters, he was defeated by Hungrybox 1-2 in what was the worst loss of his career. Although Mang0 and Armada have the strongest rivalry among the gods, Mang0 and Hungrybox have the strongest hatred for each other. Despite Mang0‘s incredible accomplishments, he lost against the player he hated the most at the tournament he most desperately wanted to win. Out of anger, he smashed his controller after his loss and threw his 5th place medal into the stands. The rest of 2015 followed a similar pattern of disappointing results for Mang0: 4th at The Big House 5, and a 5th place finish at Dreamhack Winter. In particular, his 17th place finish at HTC Throwdown, with losses to DruggedFox and MacD, was the most embarrassing result of his career. It was also the single worst performance by any god after they became top players. It has lead to many memes and jokes about Mang0 and the number of 17. However, he did have some promising results in the second half: he defeated Mew2king to win Paragon LA and nearly beat Armada at Smash Summit to finish 2nd. Smash Summit was particularly impressive as he almost beat Armada’s Peach with his Falco, a matchup for which Armada is particularly good. Nonetheless, 2015 was one of the worst years in Mang0’s career. He had a 2-7 record against Armada during the year, failed to win a supermajor, and was ranked #4 on the 2015 SSBMRank. 2016 began with the return of the GENESIS series. GENESIS 3 was the tiebreaker, as Mang0 won GENESIS and Armada won GENESIS 2. Fans of the series wanted a Mang0-Armada Grand Finals, but many were pessimistic that Mang0 would not be able to make it due to his downswing. On the contrary, Mang0 delivered in spectacular fashion. After losing to Axe in Winner’s bracket, Mang0 went on yet another Loser’s bracket run. He played incredibly well and defeated Plup, Nintendude, PPMD, Axe, and Hungrybox on his way to Grand Finals, where he faced off against Armada. In a shocking manner, he dominated Armada in two straight Fox dittos, a matchup in which Armada is considered an expert, to go up 2-0 in set 1. Armada was forced to switch to Peach, but it was not enough as Mang0 secured the first set 3-1. Armada was also very impressive, and despite his loss in the first set, he maintained his composure and won the second set and the tournament. Mang0 finished 2nd, but his performance has given hope to his fans that he can reclaim his #1 rank. Mang0 has shown that he is hungry and that he still has a desire to win. This combined with the fact that Armada is a fortress that does not accept anything worse than first will make 2016 an extremely exciting year for Melee.